If you’re looking for an innovative payment method that let you transfer money from your bank, then Pingit casino sites are certainly the way to go. Just like with Boku, the payments are made using your mobile number but with a slight difference. This payment method is about to revolutionise the gambling industry, but are casinos that accept Pingit right for you? Pingit is actually a well-used mobile payment method, we’ve even used it to send money to friends and family. 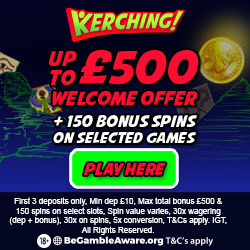 So imagine our excitement when we noticed some of the UK’s biggest casinos, bookmakers and poker sites are now offering it. Not many people know this, but Pingit is actually a product of Barclays Bank. It was initially introduced back in 2012 for their customers, but Barclays soon realised it potential; eventually opening it up to a wider audience. As such, customers from other banking institutions are now able to send money to friends, family and casinos with Pingit. Unlike PayPal casinos or Payforit Casinos, Pingit casino payments are only currently available to UK customers; should that change we will be sure to let you know here. Are Pingit Casino Deposits Safe? Being backed by a global bank has its advantages, as the Pingit app has to follow the same security protocols as mobile banking apps. It’s this level of security that makes Barclays Pingit casino deposit an extremely secure payment option at online casinos. There is also the extra reassurance that the app and services offered are fully regulated by the Financial Conduct Authority and the Prudential Regulation Authority (Financial Services Register number: 122702). 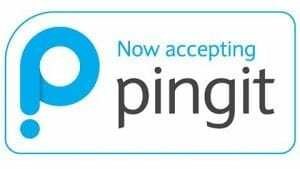 Who Can Use Barclays Pingit? As we mentioned earlier, it was initially set up solely for the use of Barclays customers. But because of the positive feedback received, it was opened up to other financial institutions. So this basically means that anyone over the age of 16 with a valid UK bank account can use the app to pay for slots and casino games. In an age when online security is vital, this is where a Pingit casino deposit excels; especially compared other popular banking methods. The transfer of funds are virtually anonymous, with no bank details required to make a payment. The only information you will need to share is your mobile number. Payment limits are also another area where some independent payment options struggle, but here you have the option to make deposits of up to £300 in a single transaction. For non-casino transactions, the advantages are endless. Registered app users can send money to friends and family in 35 countries around the world; including currencies native to those nations. There are also partnerships set up with millions of multinational and small businesses worldwide. If it’s fast payments you’re looking for then the Pingit online casino service is definitely worth considering. Using the Faster Payment Scheme, which helps facilitate the moving of funds between Barclays and non-Barclays banks; it now only takes a maximum of 30 seconds for funds to be transferred. Funding your casino account with the Pay by Bank app from Pingit couldn’t be easier; in fact there are actually two simple ways to pay. Both of which have been details below, so you can choose which suits you best. But before you start the process, you will need to make sure the casino you’re using allows Pingit payments. To do this simply scroll to the footer of the screen and see if the logo appears next to other prominent payment methods. If not then a visit to the cashier section should clear things up, scroll through the list of deposit methods until and if you see the Barclays Pingit name or Pay by Bank App logo then you’re all good. To make your online Pingit casino deposit, just fill in the amount you want transfer; remembering to include any bonus codes if necessary. From the options available, select Pingit then enter the number you have registered with the service. The casino will automatically generate an invoice for the amount of deposit you wish to make and submit it to the Barclays network. They will send you an SMS containing the merchant name and the deposit amount, simply text back to confirm the payment; the amount will then be added to your casino account and a receipt sent to your phone. The other way to pay is by utilising the Pingit app. Some players prefer this payment method as it carries a higher deposit limit than the SMS method. Locate the Pay by Bank app logo in cashiers section, usually under the e-wallet area. From there, enter the amount you want to play with then hit proceed; from there you will be redirected to the app. At this point you will see a transaction screen detailing the merchant info and deposit amount, simply enter you 5 digit pin and confirm the payment. You will then be automatically redirected back to the online casino cashier page, where your funds will be waiting. You’ll notice with both of the methods above, no bank details were required in order to make the deposit. This helps to keep your financial info completely secure. We love the Pingit casino deposit method as much as Boku casino payments, and for the same reasons. Payments are completely secure and super-fast. In fact, the higher payment limit makes it a slight improvement; so we tend to use it when we want to step up our casino gaming.